CURRENTLY NOT IN STOCK, WE CAN ORDER YOU THIS PUMA BY PALOMINO 32BHKS TRAVEL TRAILER! When sold, we go through the unit very carefully. We run the A/C and the furnace, we run all the appliances to make sure they all work. We run water through all the plumbing and try each faucet to make sure you have no water leaks. We even get up on the roof to make sure everything is sealed the way the manufacturer wants it. Also included in our sale price is a sewage hose, water hose, battery, filled L.P. tanks, toilet paper, chemicals, 30 day temporary plates and a 1 year limited warranty. Buy from the Indiana RV Dealer who can save you $$$. We also have Financing available. 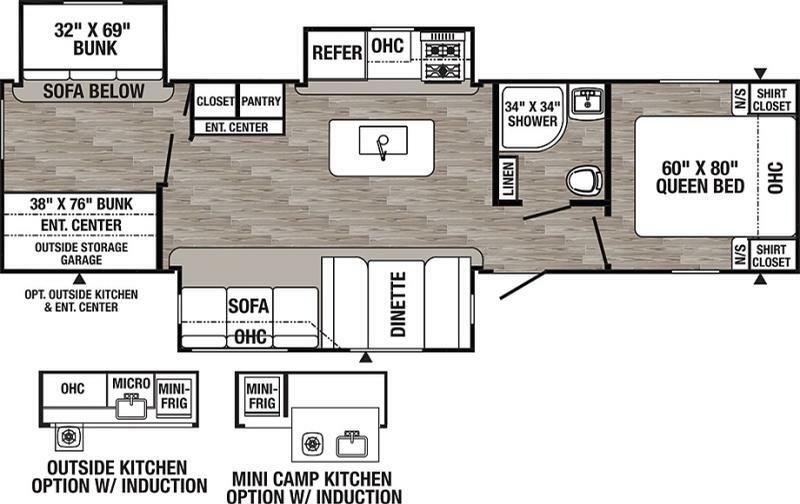 Click on the RV Financing tab at the top of the page and fill out the form. Our finance people will match your best option to the correct bank for the best possible rate for you. You are not obligated to use this financing when filling out our form but we think we can save you money.